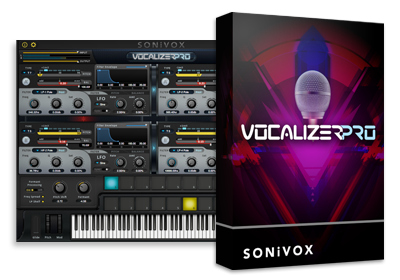 SONiVOX is your home for the best digital music creation tools available, with products for professional composers, producers, musicians, and iPad and Android developers. We offer musical inspiration through great sounds, playable instruments, and innovative new technologies. Put on your shades and get on board the time machine, as Stratum will take you down the wormhole straight into the 1980s futuristic soundscapes. By combining the fat, wide supersaw oscillators with the classic, rich sounding FM engine, we have brought synth technology of different eras together to give you THE SOUND of future-past. At Sonivox we have over a decade of experience of meticulously sampling and expertly voicing instruments. Over the last 12 months we have been working hard to provide the reference collection of “must-have” instruments for keyboard players. Film Score Companion is the most complete and easiest-to-use music creation tool for films, games, and music. A completely new concept in modern music production that couples a new technology synthesis engine with an open input based architecture. Vocalizer Pro is one part effect plug-in and one part virtual instrument. Vocalists, non-vocalists, and producers feed Vocalizer any audio source, and it re-pitches, effect, and re-synthesizes the original source into a whole new sound. It's the 70s All Over Again! Forward Into the Past! Endorsed by the inventor himself. 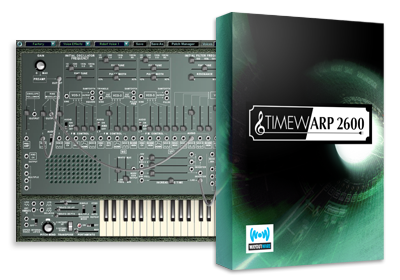 The ARP 2600 synthesizer helped define the music of an era. Edgar Winter's "Frankenstein," The Who's "Who Are You," The Tubes, Jean Michel Jarre, Deep Purple, and on and on. Only 3,000 ARP 2600's were produced between 1970 and 1981, and they've been trading hands among collectors for thousands of dollars ever since.